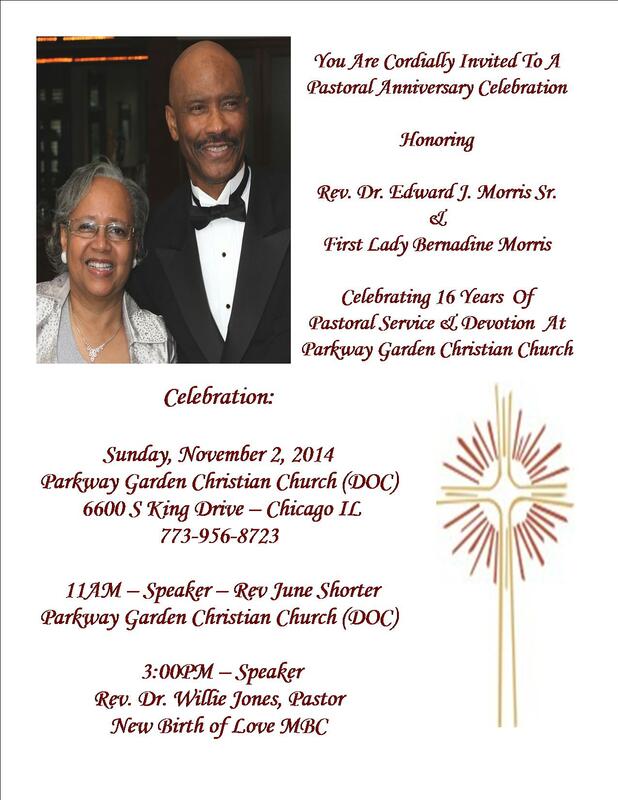 Pastor & Sister Morris are celebrating 16 years of Pastoral Service at PGCC. Wanted to send you an invite and ask you to please join us if you are able. Also would like to ask if you could you possibly share this Praise Info with CCIW and Clergy Colleagues. See attached. Asking them to share with their congregations. Blessings upon you all for your continuous service within the Ministry.